Stefan and Nikki Otto are looking forward to welcoming you to their stunning, tastefully decorated 4 star luxury Penguino Guesthouse, Hermanus... come and breath our Champagne air! 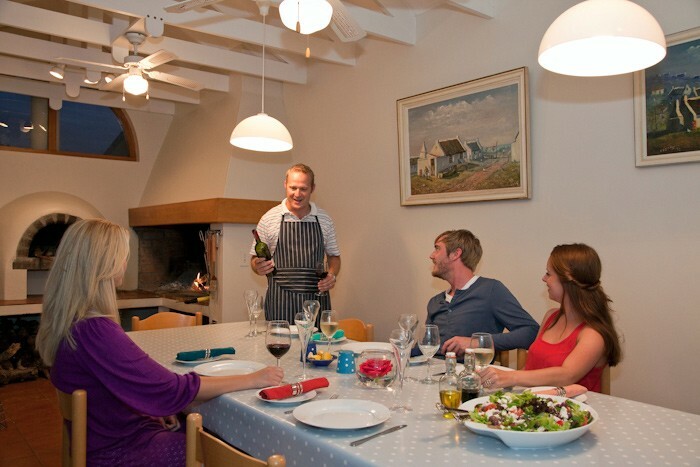 Penguino Guest House is a family-run guest house offering 4 Star luxury accommodation a mere stone’s throw from the famous cliff paths in Hermanus. The guesthouse is just a seven-minute walk from the town centre and could not be more ideally positioned to explore the restaurants, shops and other diversities Hermanus has on offer. Penguino Guesthouse invests every effort in making each guest feel special, so, whether you want to relax in the tastefully, individually decorated rooms, laze around the swimming pool, dabble about town, explore the beautiful shoreline, or enjoy the gourmet cuisine, your hosts Stefan and Nikki Otto ,are looking forward to welcoming you. Luxurious, stylish, spacious and relaxed accommodation awaits you at Penguino Guesthouse. Each of the beautifully decorated rooms has been named after a member of the penguin family and comes standard with a satellite TV, safe, hairdryer, in-room fridge, tea and coffee-making facilities, Wi-Fi Internet access, and complimentary luxury toiletries.